No other process in the world of cannabis has evolved so much in recent years as dabbing. Once considered the province of just a few hardy and exclusive connoisseurs, improvements in technology and new innovations coming onto the market now means that anyone can try it. The new electric dab rig is a case in point. It gives you ultimate control over the temperature which means you can clearly define the quality of the vapor you produce and control its beneficial effects. We’ll take a closer a little later at these, but first, it’s time for some dabbing 101. A dab is basically a small, concentrated amount of cannabis that is heated and vaporized using a high temperature. Concentrates can contain anywhere up to 80% THC or CBD depending on the product, all of which means you only need a small amount to get the effect you want. In the past, dabbing involved heating your concentrate up using a nail that had been made red hot by a blow torch and then inhaling the vapor quickly. This is still very common but the latest dab rigs allow you to be a lot more controlled in your approach. They’re also a lot less dangerous than a blow torch. Control over temperature is particularly important when it comes to medicinal cannabis where you may want to get a particular cannabinoid and optimize its vaporization. It’s also the best way to make sure you release the taste and smell of certain terpenes in your cannabis. That’s because many of the elements in a cannabis concentrate only get released when they are heated to a certain temperature. This is a rapidly evolving area of cannabis use and one that is proving very interesting. Most of us know that cannabis has two main constituents in THC and CBD. But there is a lot more to the plant than these. There are literally 100s of different terpenes and cannabinoids that may be useful. The key part of any dab rig is the nail. This is basically a surface that you heat up and then use to evaporate your concentrate. Bongs and other cannabis paraphernalia all involve burning the concentrate or dry herb. With the dab rig, you’re looking to vaporize a very small quantity of concentrate and breath it in almost immediately. You don’t have to take several drags on your bong or pipe but get the effect in one single inhalation. Dabbing used to be more important for recreational cannabis users but recently it has become a useful tool for those looking for a therapeutic effect as well. Traditional dab rigs are made up of three main components. A glass compartment, a nail and a torch lighter. The nail is perhaps the most important part and is made of a substance that can be heated to a relatively high degree. They can be glass, ceramic, quartz or titanium. More often nowadays, you can get e-nails and the great thing about these is you can control the temperature. What is an Electric Dab Rig? E-Nails or electric dab rigs are a fairly recent invention but they have really changed the way we look at dabbing. The e-nail can be attached to a controller box which gives you the opportunity to decide what temperature you are going to apply. That means you just have to get your dab, take your nail and switch it on, and when it reaches the set temperature just add your concentrate. This is great if you are dabbing in a group and don’t want to mess around with a blowtorch all the time. E-nails won’t use a large amount of electricity and you don’t have to worry you’re going to run out of butane either. It’s also pretty good if you are looking to get the therapeutic benefit of a particular substance in your cannabis concentrate. The biggest benefit is that an electric dab rig allows you to control the temperature. You might have a cannabinoid, for instance, that only starts to boil at about 342°F. If you are planning to optimize the amount you are able to inhale, then making sure you hit this exact temperature is important. You can get a range of electric dab rig designs, both for your desktop and portable devices. That means you can do your dabbing at home as well as on the move. While the price can seem a little prohibitive if you only dab once in a while if you use this process to get your cannabis hit more often it can be well worth the initial investment. There’s also a lot less mess with an electric dab rig, especially if you are inviting guests around. There’s less danger too. No one getting high should be messing around too much with a blow torch. Always go for quality when you buy any device like this. That’s not always intimated by the price but you should be looking for something that looks solid and has a clear temperature gauge that’s accurate. It pays to do your research and look at any online reviews but if you’re buying instore it’s also always a good idea to go and inspect the device personally. The big thing about purchasing an electric dab rig is you get to hit the vaporization sweet spot. This normally lies between 315 and 440°F and what it means is you get all that flavor and smell from the concentrate terpenes without the usual burn or acrid taste that you get when using a blowtorch. You do get less vapor at this lower temperature but that shouldn’t matter because the quality is going to be all there. Once you get your electric dab rig you can also play around with high, medium and low temperatures to see which delivers the best result. If you’re using a particular strain because it has some therapeutic value, you may find that altering the temperature will alter the effect in quite a significant way. For instance, if you have a strain that acts as sedative and relaxes you, you might find the impact more powerful once you go to a lower temperature. One thing you will need to consider is what your nail is made of. 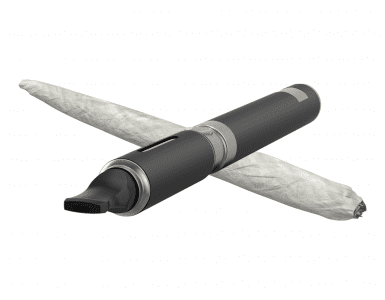 A ceramic e-nail takes a while to heat up but will retain that heat for longer. A titanium nail heats up really quickly but loses it almost as fast. A quartz nail will give you somewhere in between the two. While you will have a gauge telling you what the temperature is, this will naturally change once you decide to do your dabbing. Over time, you’ll get to know how your e-nail works to optimize the concentrate you have chosen. It’s about experience and experimenting to find the best temperature as well as how you administer the dab. Most people who try dabbing for the first time use the blowtorch approach and there’s nothing wrong with that. 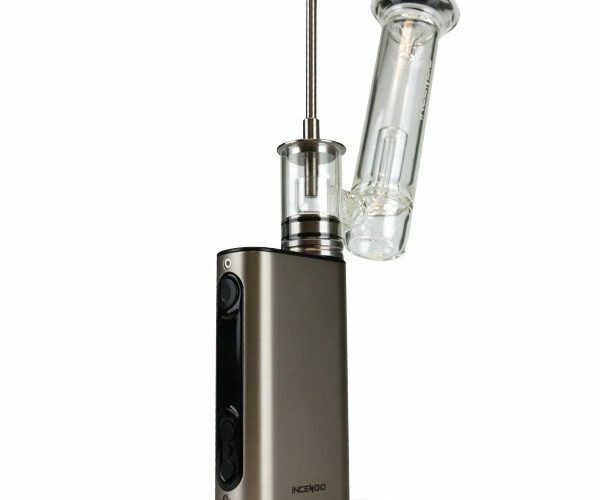 If you are planning to dab more frequently in the future, however, it’s well worth trying a proper electric dab rig. You really get the terpene profile and get the taste and smooth hit that comes from dabbing at a lower temperature. You don’t have to mess around with a butane torch or worry about running out of fuel or injuring yourself. You don’t need guesswork to make sure your nail is at the right temperature. Maintenance is relatively simple and involves simply giving your e-nail a swab with a cotton bud soaked in alcohol. You have to pay for the electricity but this is much less than butane anyway. You have to replace the coil every so often but that shouldn’t be a problem for most people. Should I Invest in an Electric Dab Rig? It really depends on how often you use cannabis and if dabbing is your chosen form of taking it. While a rig can cost you anything up to a few hundred dollars, the investment is going to be worth if it you use it a lot. They’re great at social get-togethers and a lot more hygienic than many other methods of consuming cannabis. The good news is that the technology in this area continues to develop. Concentrates are a lot more popular than they used to be and that’s mainly because of legalization in many parts of the US and increased availability. Rosin – What it is and ways of easily making it at home? Expect further developments with the electric dab rig to come onto the market in the not too distant future.